“Grant: A Biography” is William McFeely’s Pulitzer Prize winning 1981 biography of the Union general and eighteenth president. McFeely is a historian and retired professor of history. He has authored numerous books including biographies of Frederick Douglass and Thomas Eakins. 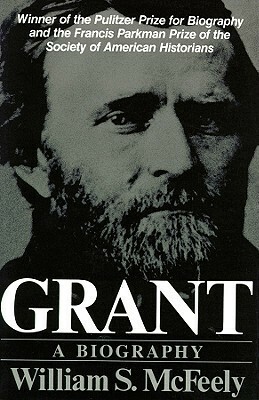 Although considered a seminal work on Grant, this biography is frequently criticized for being too harsh toward its subject and for relying too frequently on psychological interpretation. But while the author is too quick to criticize Grant at times, I found McFeely’s final assessment more balanced than expected. I see no fault in McFeely’s psychological assessment of Grant, either. What is a biographer’s job if not to observe and fully assess his or her subject while distinguishing between fact and conjecture? In Grant’s case the task is all the larger due to his complicated and sometimes contradictory character. And McFeely’s judgment of Grant, while too harsh at times, is often spot-on. But while McFeely’s biography keeps itself firmly centered on Grant, his few real friends and his cadre of astonishingly poor advisers, it is unwilling to stray very far to provide context. Readers hoping to see the Civil War through Grant’s eyes, for example, will be disappointed. Although McFeely describes Grant’s great battles, rarely does he clearly describe the setting or discuss the broader scene. What I’ve rarely seen McFeely criticized for is his writing style. There are great writers who decide to become historians, and historians who elect to become writers. McFeely seems to fall into the latter category. 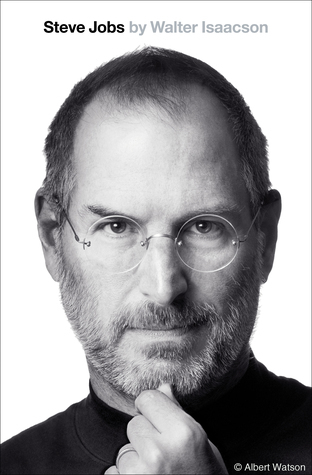 His biography does not flow like the narrative of someone whose primary gift is prose. It more often has the feel of a legal brief that has been re-written by an English professor with a love for complex sentence structure. Although well written from an academic point of view, important messages and themes seldom jump off the page for the average reader. More often, they have to be teased from the text. Between the important nuggets of obvious wisdom are paragraphs of sometimes arduous supporting (or even seemingly tangential) detail. In general, if there is a simple way to make a point, McFeely will steer clear and find a more complex way of achieving the same result. His text is dense and potent and requires the reader to progress at a slower-than-average pace for full comprehension. If this biography does not quite seem intended for the mass market, neither is its natural audience limited to historians and presidential scholars. It is simply a comprehensive, old school book heavy on facts and light on extraneous image-setting. Rather than taking the time to animate his study, McFeely focuses on the daunting task of understanding how the failed businessman, the war hero and the strangely out-of-touch president could be just one man. It is a task he performs masterfully. In the end I liked – but did not love – McFeely’s biography of Grant. Although it is comprehensive, detailed and penetrating (most of the hallmarks of a great biography, in my view) it is not consistently accessible or engrossing. Nevertheless, this Pulitzer Prize winning biography provides a solid, thorough and revealing look at one of our most enigmatic presidents. Grant has always fascinated me as a soldier, person and President. He had more peaks and valleys than the Smokey Mountains. It goes deeper than that. Since you’ve indicated that you plan to read Brooks Simpson’s book as well, you might find his review (“Butcher? Racist? An Examination of William S. Mcfeely’s Grant: A Biography”, Civil War History 33, 1987) interesting. Also check out what Sean Wilentz, professor of history at Princeton University and one of the leading scholars of nineteenth-century America, had to say in an op-ed in the New York Times about Ulysses S. Grant when some Republicans wanted to replace him on the $50 bill with another Republican, Ronald Reagan. Wilentz feels that a revisionist assessment of Grant is needed to reclaim his rightful place as America’s finest general and one of its better presidents! He feels that Grant was slandered because of his deep commitment to “the nation’s bedrock principles of union, freedom and equality,” which fell out of favor in post-Reconstruction America, when sectional reconciliation was achieved at the cost of the North turning its back on the freed slaves and history books began to be written by hostile Southerners. Even today, Grant’s reputation has yet to recover. Did not see your post in the other thread about Sean Wilentz’s review of the Joan Waugh book until I after posted the above comment. Your link is a better, more extended discussion by Wilentz of the need to reconsider Grant’s legacy. And it refers me to a new presidential book that I will have to check out. I confess to having been unaware of much of the controversy surrounding Grant’s legacy and find the ongoing discussion fascinating, particularly when one biographer assesses a previous biographer’s work or point of view! Thoroughly enjoyed book. Will try the others listed. I really didn’t like this one – too much psychoanalysis and a tendency to assume the worst of his subject wherever possible. But that’s typical of McFeely, his book on Frederick Douglass is very similar.